First Picture from Mars Rover. Now it is my personal wallpaper (and I find it very adapt to this enjoyable distro)! Looks like a doctored photo... Dogs never fold all four paws under themselves when they run, do they? It's called a 'double suspension gallop', and a lot of dogs run that way. Greyhounds and whippets are a good example. But it isn't, and it runs! Running dogs have gaits, just like horses! I learned something today! Thanks, solo! 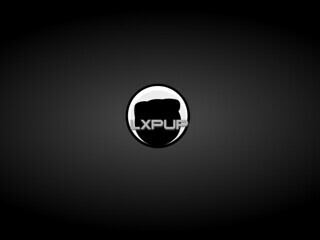 Hi, here is one I made for LxPup. Just wanted to thank futwerk for his precisems23.jpg above - the color, texture and classy rendering of the Puppy logo makes this a perfect, uncluttered desktop workspace (important on this little netbook screen) that fits my preference of sand/olive themes to a "T". My favorite all-time Precise background. Great job, futwerk!